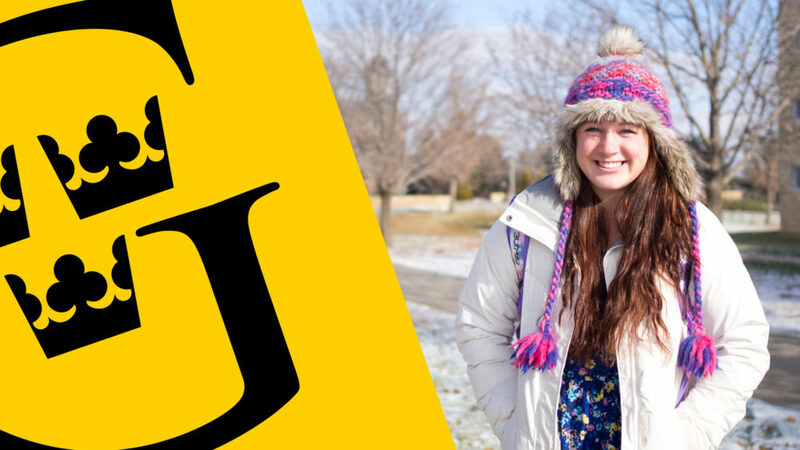 Gustavus Adolphus College junior Katie Aney is the recipient of the Barry M. Goldwater Scholarship, the premier undergraduate award for students pursuing careers in mathematics, sciences, and engineering. Nearly 1,300 talented students are nominated annually by campus representatives from 2,000 colleges and universities across the country. Of the group, only 240 undergraduates are selected each year for the prestigious award. Recent Goldwater Scholars have gone on to receive other top-tier academic awards including 89 Rhodes Scholarships, 127 Marshall Awards, 145 Churchill Scholarships, 96 Hertz Fellowships, and numerous other distinguished awards like the National Science Foundation Graduate Research Fellowships. Aney, who holds a perfect 4.0 grade point average with majors in biochemistry and mathematics, will spend the summer conducting research at Harvard University through the Amgen Scholars Program. 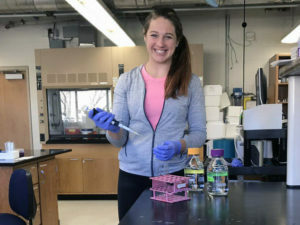 During her 10-week research program, the Rochester, Minn. native will work under Dr. Stephanie Dougan of the Dana-Farber Cancer Institute on a project centering on immunology and pancreatic cancer. Throughout the Amgen Scholars program, Aney will conduct hands-on, innovative research using novel methods to detect immune responses to tumors in mice. In addition, she will join Harvard’s other Amgen Scholars for intellectual pre-professional development, including a National Amgen Scholars Research Symposium at UCLA. 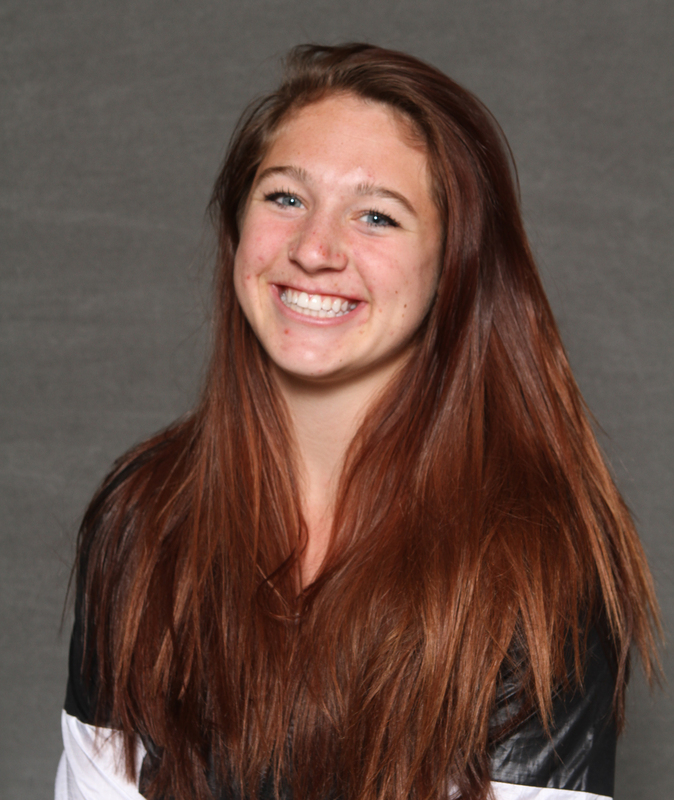 Outside of the classroom and lab, Aney is involved at Gustavus as a key contributor on the Gustavus women’s tennis team, the Student Athlete Advisory Council, and Tri-Beta honor society vice president. She’s also dedicated time to the Mayo Clinic Volunteer Program, presented at the Midstates Consortium for Math and Science Conference, assisted in publishing a paper on concussion risks in youth hockey players, and completed a Mayo Clinic Summer Undergraduate Research Fellowship focusing on neuroblastoma cancer. And with the Goldwater Scholarship and Amgen Scholar experience as an undergrad, the sky is the limit for the well-rounded Gustie.